What I love most about this swing is what you actually don't see. It came with little block feet so it is actually sitting on the ground, not hanging. 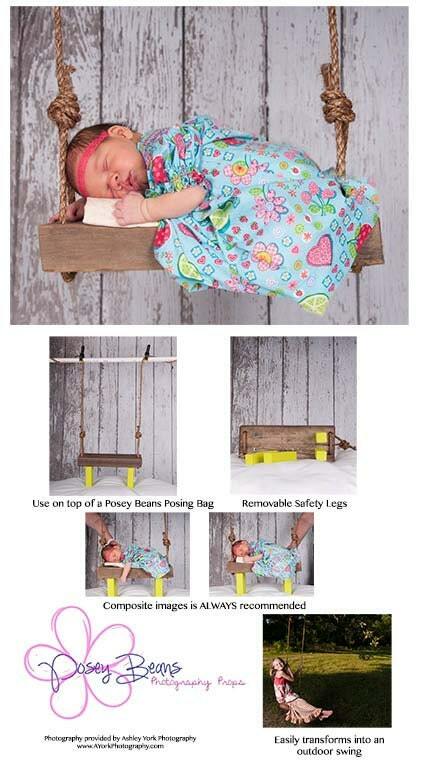 No baby hanging 4 feet off of the ground!! Meg was able to photoshop them out and you're none the wiser. 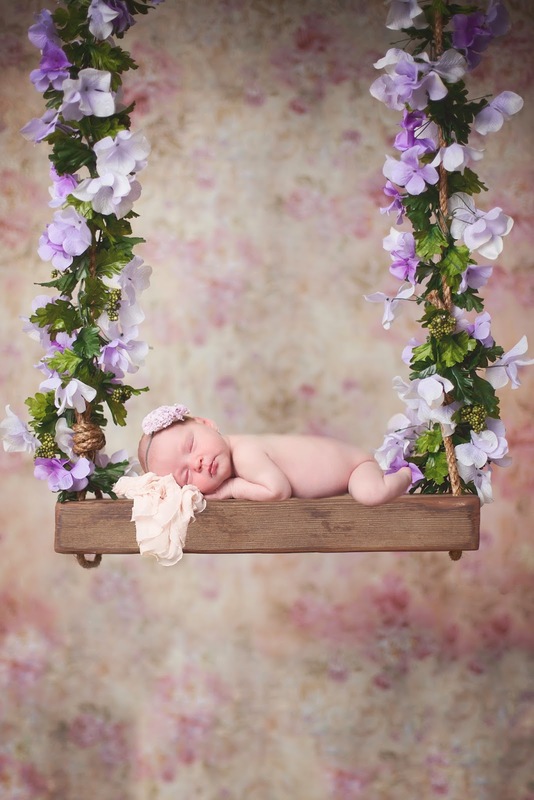 This swing is perfect for your personal use in your back yard or if you are looking for a great photography prop! I purchased it here on Etsy from Posey Beans. 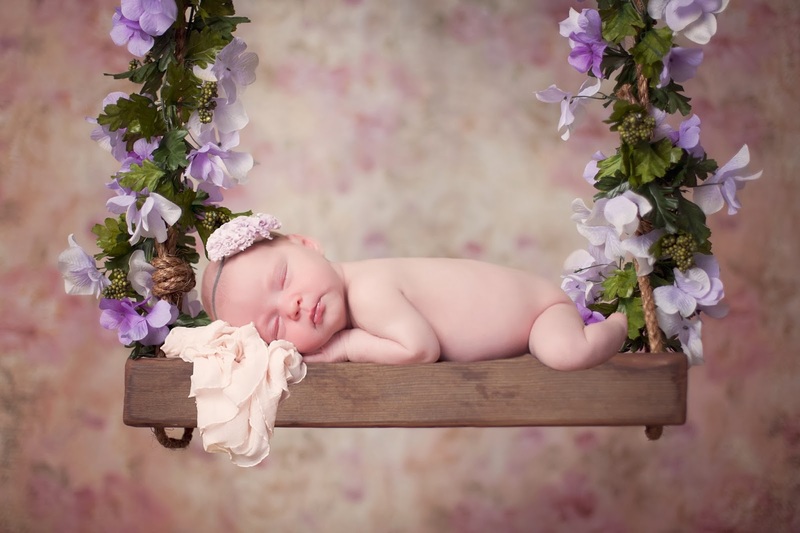 Here is a shot from her store of how to use it as a SAFE photography prop. I can't wait for Emelia's 6 month pictures. I picture this swing in a field, Emelia in a flowy dress sitting on it with Eliza in a dress standing behind her. I can't wait for it to warm up! I will make sure to share those photos!! Thank you again Posey Beans for such a great swing! !